Your pool is the centerpiece of your outdoor living space. This is especially true if you have invested time and money in attractive tile work. But, it is common for an unsightly white film to build up on the tile, at the water’s edge. Bead blasting is the most efficient way to get rid of it. The white scum that forms around pool rims is caused by hard water, which is high in minerals such as calcium and magnesium carbonates. These minerals may be beneficial in some contexts, but when they are in your pool water they leave problems behind. These minerals can build up over time and eventually cause issues with your filtering equipment. Bead blasting is an efficient and safe alternative to many do-it-yourself methods. 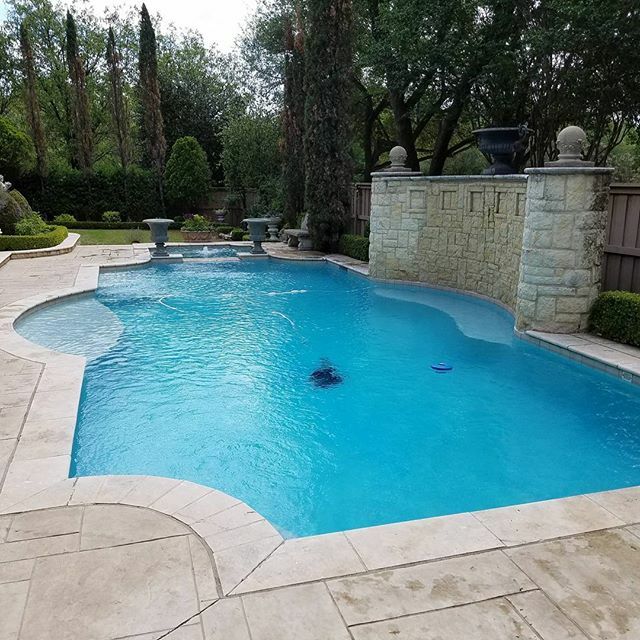 When a pool is bead blasted, glass beads are used as an abrasive, providing just the right amount of force to dislodge the mineral deposits without scratching or other damage. A trained professional uses this method and there is no need to empty the pool, outside of lowering the waterline a bit. No harsh chemicals are involved and is safe to use around children, pets and plants. For more information about scheduling a bead blasting session for your in-ground pool, please contact us.